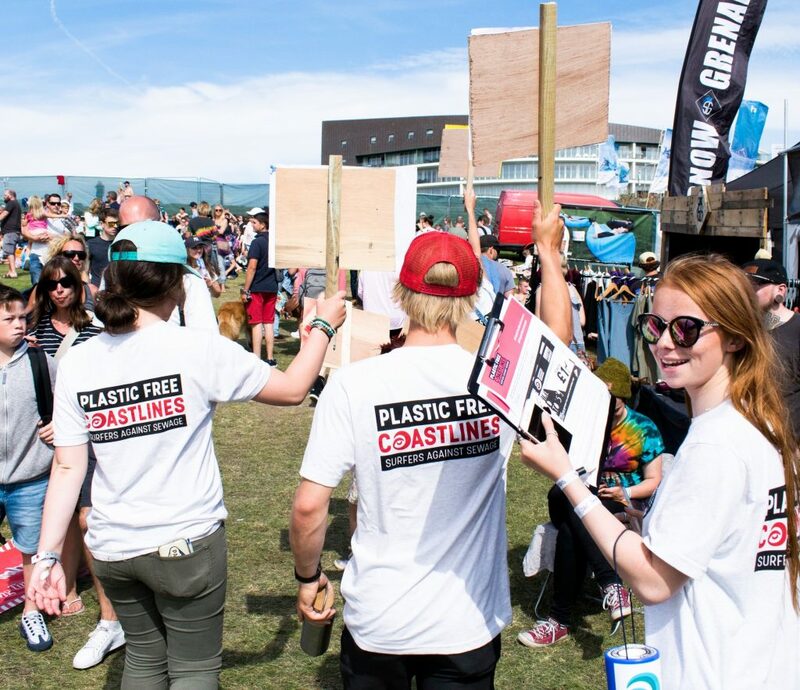 Communities across Cornwall celebrated Earth Day with a strong turnout for a series of peaceful protests organised to focus on the issue of plastic pollution. As part of the worldwide Earth Day event, Sunday 22nd April saw ‘plastic unwrap’ demonstrations in supermarkets across the county to help illustrate the alarming and destructive levels of unnecessary single-use plastic that are poisoning our seas and land, injuring marine life, and affecting our health. Shoppers turned up at their local supermarkets and after purchasing their goods, unwrapped the shopping from its plastic to hand back to the supermarket to recycle. Over 300 members turned out to take part in the mass unwrap. 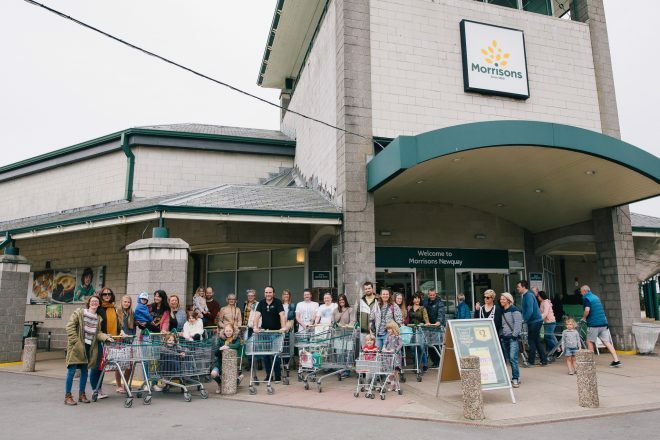 Many more enthusiastic shoppers joined in throughout the day bringing their own reusable containers, bottles and paper bags to take produce home. The event was organised by Plastic Free Newquay in collaboration with Newquay Marine Group, Reduce Plastics in Wadebridge, The Final Straw Campaign, Plastic Free Falmouth, Clean Ocean Sailing and The Seal Sanctuary in Gweek. A new group was also born out of the event – Callington Area Against Plastic Pollution. Events were coordinated in supermarkets throughout Newquay, Callington, Liskeard, St Austell, Wadebridge, Helston and Falmouth. “I think that it is great that we are gathered here with members of the community who are concerned about single use plastics and plastic use in general. It is so important that we highlight how we can potentially cut down on their use moving forward into the future it would be great to see all plastics being biodegradable or restricted in use” Commented Olly Monk, Newquay Councillor and Member of Plastic Free Newquay. 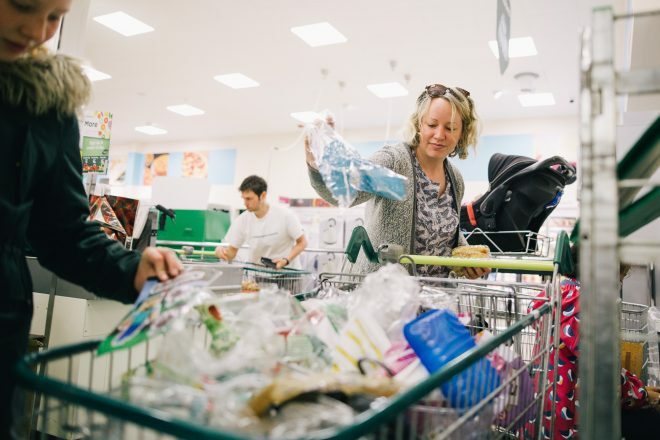 At Morrison’s supermarket in Newquay alone, a group of 30 shoppers collected 5 bin bags full of avoidable plastics in just 20 minutes of shopping. All supermarkets involved were supportive and happy for the demonstrations to take place. Newquay shopper, Genevra Fletcher, said “ We came along because my kids watched the Blue Planet II programme and were really upset with what is happening in the world’s oceans. We brought them along today to unwrap all the unnecessary plastic that we could and its just a small start – but it is a start”. Her daughter Issy, age 10 summarised “We are doing this because the animals in the sea are dying because we are throwing away lots of plastics and not recycling or reusing”. 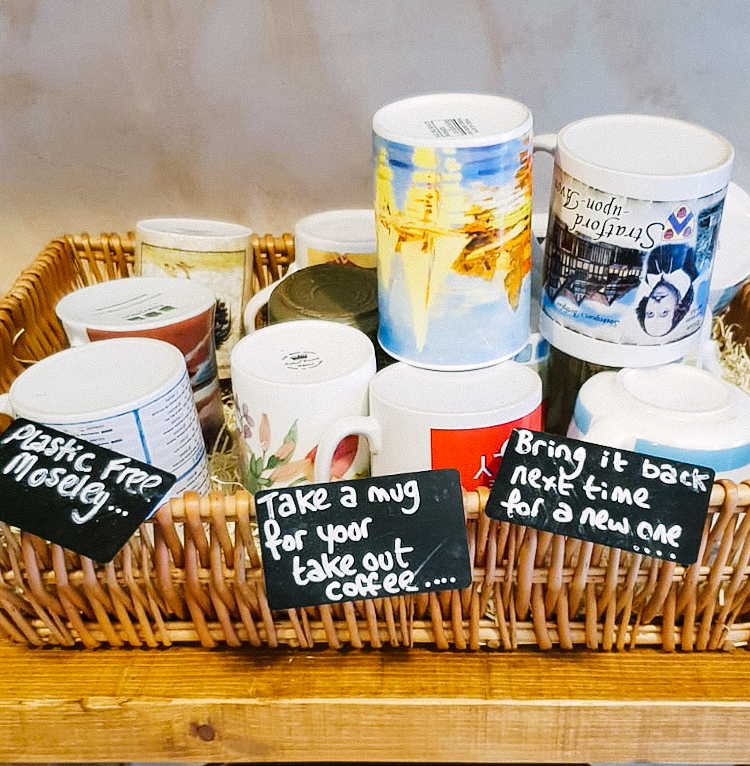 The aim of the Plastic Free Newquay group is to reduce Newquay’s consumption of single use plastics, working locally, encouraging residents and visitors to make changes – using the SAS Plastic Free Coastline campaign as a framework. 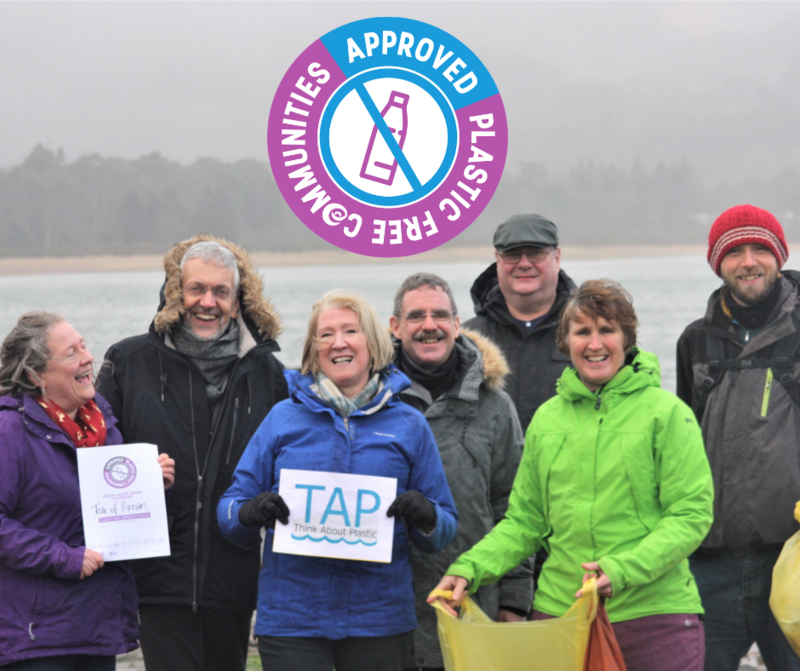 Engaging individuals, organisations and businesses the plan is to also involve local schools as well as the wider community through events and initiatives to promote the plastic free movement. First celebrated in 1970, Earth Day is an annual event celebrated on April 22, held worldwide to demonstrate support for environmental protection.